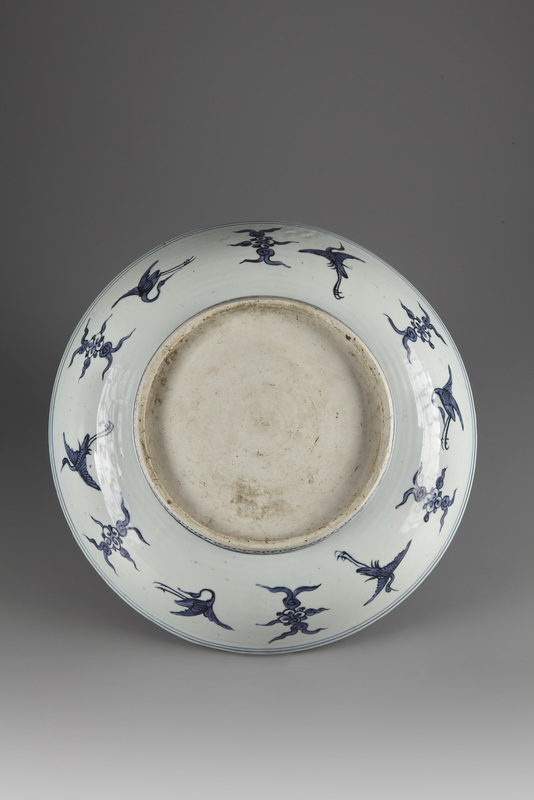 A Deep Ming Dish China, Jiajing Period (1522 - 1566) Diameter: 43.3 cm The central design depicts a fisherman sailing his “sampan” on a river near a seven story pagoda surrounded by a mountainous landscape and pavilions. 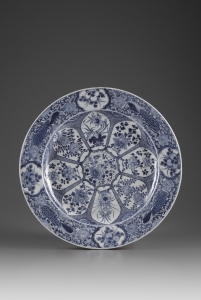 A scrolling floral motif between a double and single blue line decorates the rim of the dish. 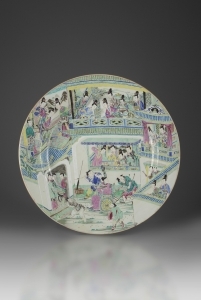 A band of flying cranes and floral motifs decorates the reverse rim. 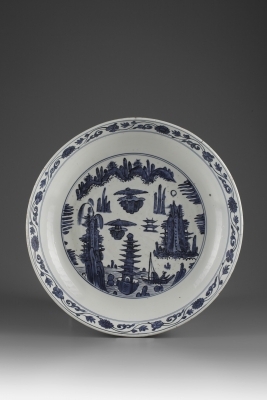 Fantastical mountainous river landscape themes on porcelain were particularly popular during the Ming dynasty (1368 – 1644). 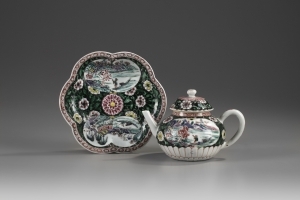 The “sampan” is the name for the most common type of traditional small boat in Chinese waters, constructed in a variety of designs. Here we see a small “sampan” with a mast and bamboo shelter. As these small boats were not strong enough to withstand the forces of the sea, fishermen would sail the rivers and stay relatively close to shore.